There is a body wash to suit your every mood or need. Wonderfully creamy, the new formulations are moisturising and luxurious. Dr. Hauschka's resident perfumer Jörg Zimmermann has hit the nail on the head with these four washes, delicately designed to appeal to everyone. I already use the Lemon Lemongrass Body Oil and I love it, so when I found out that a new complementing body wash was launched, I had to have it. I find this wash is perfect to use in the morning as it's very energising, vitalising, and refreshing. I love a zingy/citrus wash in the morning to wake me up and when followed by the matching body oil, my skin is left feeling firm and toned. It's still a creamy, moisturising formula containing Avocado and Sunflower Seed Oils so you don't have to worry about tight, dry skin post-shower. In true Hauschka style, it contains natural, soap-free alternatives to gently cleanse your skin too. If you've been reading this blog for a while, then you'll know that I have a particular affection towards anything Rose scented. This Rose Nurturing wash only works to increase my obsession. Again, a beautifully creamy formula, enhanced by a delicately crafted fragrance of Orange Blossom, subtle Clove, Vanilla, Sandalwood and of course Rose. This wash aims to nourish and comfort, again with the addition of oils. This is a special wash for any time of day, but I always take this into the shower with me at night. All of these Dr. Hauschka washes were designed with a total sensory experience in mind and I think they've hit the mark perfectly. Applied with a cleansing sponge ensures that you achieve a good lather while still treating your skin gently. At only $29 they make a perfect gift for a special someone (or yourself), and I guarantee they'll be received well. Why not pair one with the matching body oil or moisturiser? They are perfect to layer with and you'll be able to go sans fragrance as these beautiful products contain enough on their own. I always apply either the Rose or Lemon Lemongrass body oils after my shower, when my skin is still a little damp and I find they last all day. Not to mention, my skin is always left super smooth. 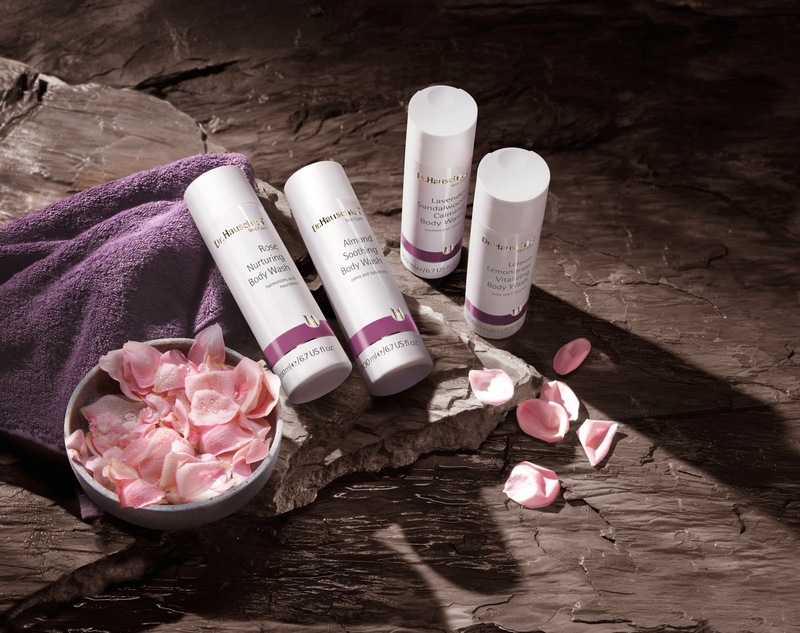 If you're after a beautiful, new body wash, look no further than these four from Dr. Hauschka. Available from this week at all Dr. Hauschka stockists (I got mine from Farmers) or online at this website.